This week has literally felt like one long day so I’m extra glad that it’s Friday! My son has been on a midterms schedule all week (and was off on Monday) so it will be nice to get back to a normal routine on Monday. Juggling his test times and the rest of his day combined with my usual work day has been tiring if you want to know the truth. 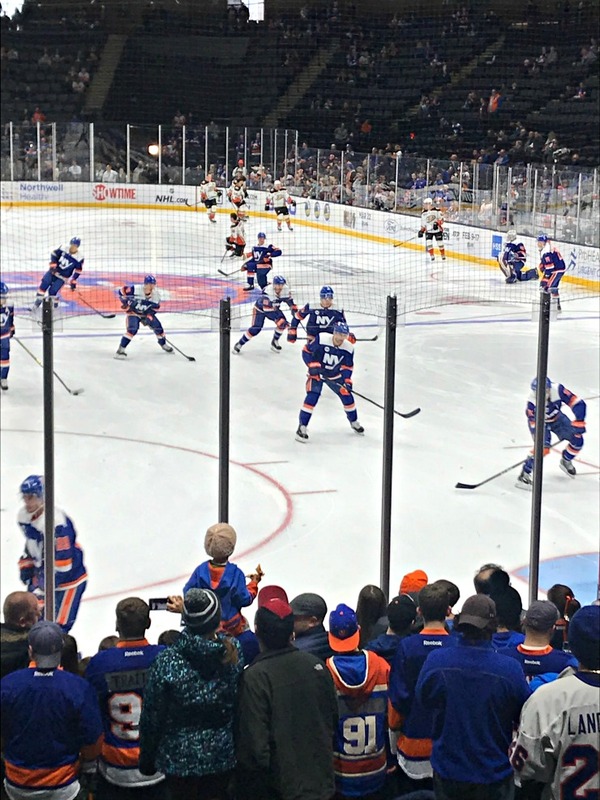 My Islanders are playing really well. Like really well. So well that I don’t even like to say it out loud because I may jinx it. I’m counting Sunday’s game in today’s Friday Favorites because I didn’t mention it earlier this week. They won again, with another shut out. Who are they? What is going on? Is this what it’s like to have a first place team? They win more than they lose and play well in the process? Will it last? Playoffs this year? Beyond the first round? You should know that I dream of a game around my birthday. That would mean Stanley Cup Finals. (I was too young to fully appreciate their Stanley Cup years). I’m getting way ahead of myself here and afraid to really think about it as again, I might jinx it for life. Oh! So I now spotted where the player wives and girlfriends sit at the games. Let’s just say I am glued to the section for a few reasons. One, I love to see the players’ children. Two, I love to see the outfits some of the wives/girlfriends are wearing. And most importantly, I follow Sydney Esiason on Instagram so I kinda feel like I know her and that we are friends. But I don’t, and we aren’t. But I think I do, and that we are. Also, one of the wives had on these Gucci slides with fur and although I do want a pair with the fur, the crystal bees on the top kill this pair for me. I do not want bees on my feet. 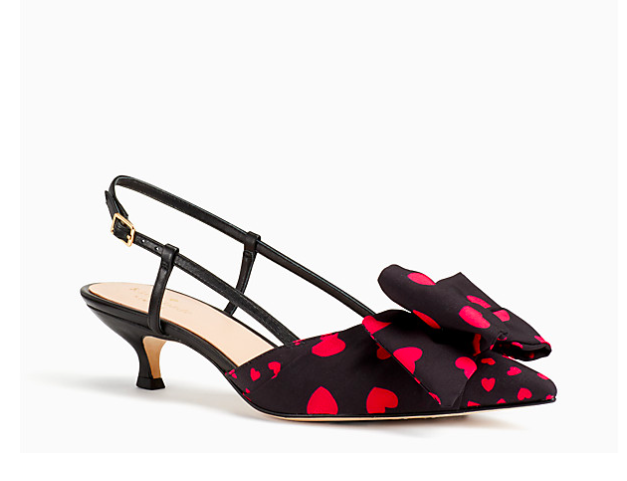 I do however want these Daxton Kitten Heels — I love the black with red hearts! Not just for Valentine’s Day, I think they are perfect any time to add something extra to an outfit. I hate to wear plain, boring shoes. I mean, classic black is great but why not mix it up when you can? Kate Spade has a whole “heart” shop going on right now so if you like hearts definitely check it out. It doesn’t have to be about Valentine’s Day to shop for hearts! 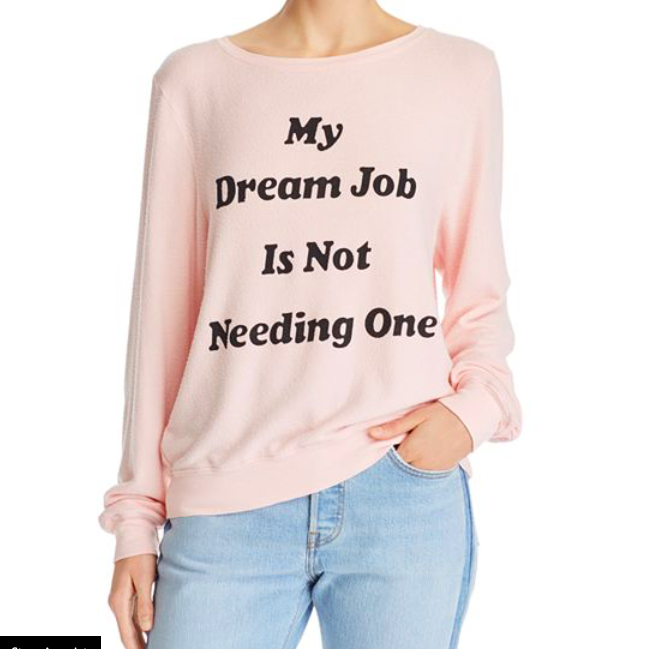 On the topic of hearts, Forever 21 has a holiday section now too. I love these embellished heart print tights to wear with a skirt and this crushed velvet loungewear set has nothing to do with hearts or Valentine’s Day unless you purchase the set in red. I have the black and definitely recommend it. Super comfortable and as good as Victoria’s Secret for like half the price. I love Wildfox sweatshirts and this Smooches one is perfect this time of year, or any time of year. And, well, this sweatshirt has nothing to do with hearts but it will forever be me. Even if I love what I do now.